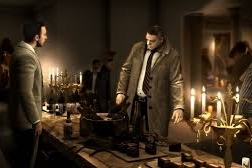 Photo: Screenshot of the game Heavy Rain by Quantic Dream. Picture taken by Game Informer Magazine. Growing up, I always liked a good story. My father and step-grandfather would always tell me stories of their past like living in Italy during the 50s or being apart of the army. Combine that with the insane amount of reading I used to do, I was always interested in reading the next engaging story. However, with most people my age, digital media has allowed us to process information above just reading a page in a printed book and caused a lower attention span to develop. Due to this, I need to rely in other forms of media to get that story I crave, since I no longer have the time or attention to sit down and read a 300-page book. Enter my other favorite pastime, gaming. Many of the people reading this may see gaming as a sort of digital pastime for younger people, however, for me, it’s a way for me to engage in stories that wouldn’t be possible in a normal book setting. As with books and movies, the stories of games follow similar tropes and formats. There is usually a three-act structure, characters that are introduced and developed, and a hero’s journey throughout it all. Sometimes, it’s a group of adventurers trying to defeat a dark lord. Others, it’s a father trying to save his son from a kidnapper/killer. However, the difference between books/movies and games, is that games give the player options. For the first time, you can choose your own path and not go along on the linear path that the author has put out for you. Not all games have this, but when they do, they usually are designed to allow players to fight along side other characters in story and use the combined skills the heroes to defeat villains or they give the player the ability to use their own skill to problem solve. You as the player become an active participant in the story instead of reading about it on a page. It’s these options that draws me towards gaming storytelling as a medium. As mentioned, games can give its players options on how to proceed within a story. This is done through choices the game gives the player in certain events. However, it isn’t so black and white as making a character do this or that. The picture above shows the game Heavy Rain, created by Quantic Dream, you play as one of four people trying to solve the mystery of the Origami Killer. Each playable character has their own motives of finding out the Origami Killer. One is a FBI agent investigating them, another is a reporter trying to find the scoop. The controls of the game are simple, you press buttons to have the characters do certain actions. There is a twist, doing certain actions, or not doing them, can alter the progression of the story. Your playable characters could get injured, arrested, or killed if you perform a specific action or didn’t press the right button on time. This leaves the fates and decisions of the characters in the hands of the player, giving an immersive experience that books and movies couldn’t emulate with exception of “choose your own adventure” books. The most common examples of games featuring interactive stories are Role-Playing Games and Visual Novels. Role-Playing Games or RPGs, are games where the player plays as a specific character in a particular role. Visual Novels are a visual representation of a book with graphics and images to go along with a story. The difference is the choice-based system mentioned. As mentioned, gaming also gives the player options to live out the story by playing as a character, engaging in a linear story, and defeating the villains through your actions. RPGs are the games that typically do this and are set in Fantasy or Sci-Fi settings which allow for this type of imaginable storytelling. Famous examples of linear RPGs would be the Dragon Age franchise by Bioware or the Final Fantasy series by Square Enix. Famous examples of visual novels that focus on a choice-based system, try Life is Strange by Dontnod Entertainment or anything made by Telltale games. My personal favorite games are RPGs that combine the linear storytelling and an engaged playing style with a choice-based system. Examples of this would be Bioware’s Mass Effect where you play as a Space Marine trying to save his universe from ancient invaders or CD Project Red’s The Witcher where you play a monster hunter trying to prevent an embodiment of death from causing a mass extinction of people in the living world. Both of these games have you play as a single character, but the choices you make alter the outcome of the game’s story, and they can even carry on to future games of the series. As a whole, gaming is still young of a form of storytelling. While developers have been inventing new ways to allow players to alter their storytelling experience, there are still endings that the author writes. It is exciting that gaming creative can allow players to manipulate events to get their ideal ending. But the fact that this is possible in today’s day and age makes me happy to see what will develop in the future as technology and gaming platforms advance. Dynamic gaming allows for players to experience stories instead of watching them or reading them. We will always have books and movies as a mediums that we love, but one day, I hope the immersive experiences of games can tell stories at the same level. And until then, I’ll just keep using it as an excuse to play video games as a homework assignment. 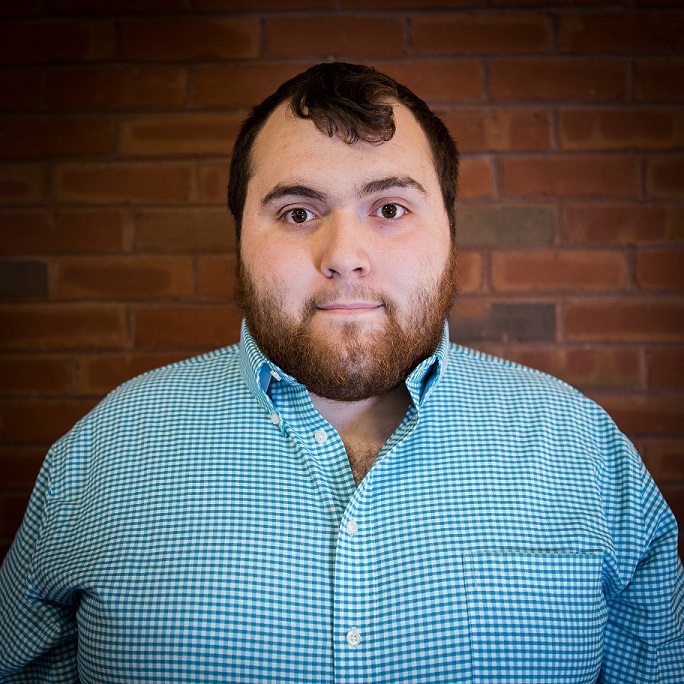 Gino DiGioia is a graduate at Champlain College studying Communication and an intern for the League of Vermont Writers. He spends his time playing video games, not only for fun, but to learn about the diverse types of characters, stories, and ties to older pieces of fiction. Growing up, he was hooked on young adult reads like Series of Unfortunate Events and Harry Potter. In the next five years, he is hoping to go into journalism, specifically covering news about Video Games. See more of Gino’s work at his portfolio website.